Sometimes a visual demonstration works much better than a list of instructions. 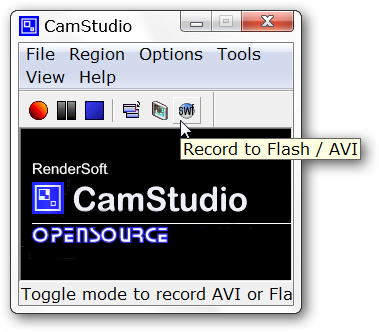 If you need to make a demo video for family and/or friends then you might want to have a look at CamStudio. 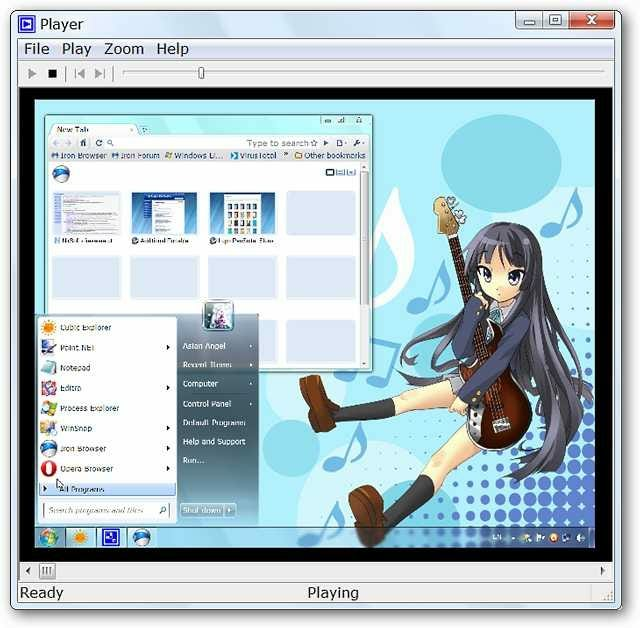 To get properly set up you will need to install two different files (the main program followed by the codec). Once that is done you are ready to get started. 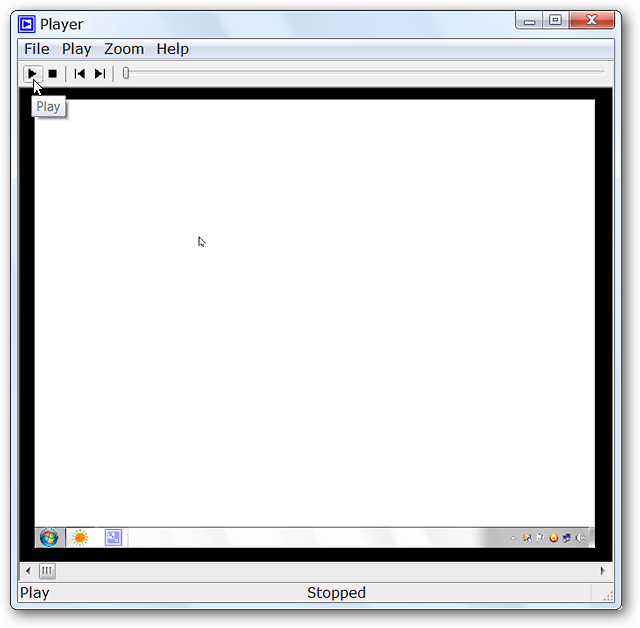 When you start the program you will see a surprisingly small window. Notice the highlighted Record to text…it serves as a visual indicator for the video type selected for recording. Before you start creating a video it would be a good idea to look through some of the settings. The first one to look at is the region or area that you want to record. 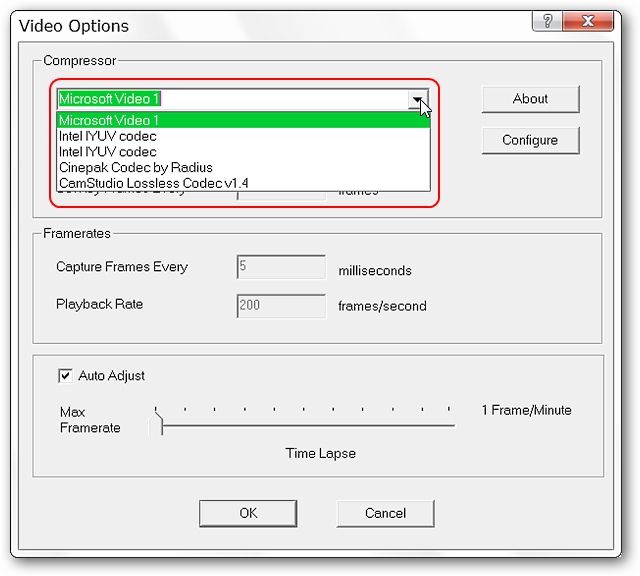 Next you will want to look through the video options since these will affect the quality and final size of your video files. 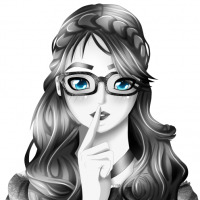 The default setting for quality is 70…adjust that to the level that best suits your needs. Note: For our example we maxed out the various video settings for best quality. 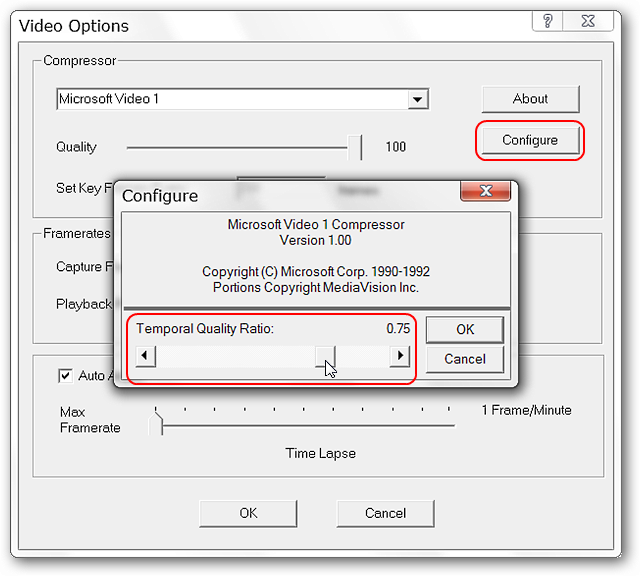 On our system Microsoft Video 1 was listed as the default compressor but as you can see there were other options available. You can configure the settings for the compressor you want to use if desired. Keep in mind that each compressor will have unique settings of their own, so if you change it, be certain to go back and check. 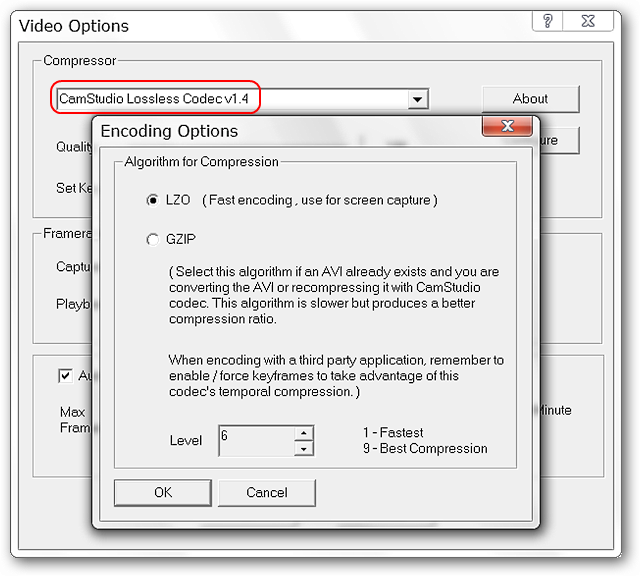 We decided to use the CamStudio Lossless Codec for our example (it gave the best results while trying the software). 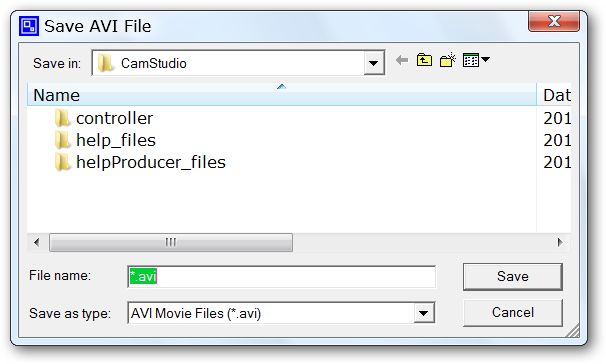 Going back to the main window you can toggle back and forth between .avi and .swf output using the last button. Once you are satisfied with the settings click on the red record button to start. 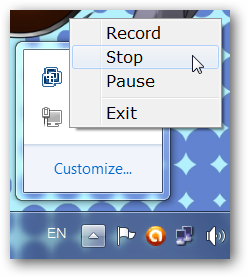 If you need to pause while recording or stop recording click on the system tray icon and select the appropriate command. When you are finished recording you will be presented with the save file window. Browse for the desired save location and name your new file. Once you have saved the file the movie player window will automatically open so that you view your new video. Our sample video shown here is at 50% of original size so may look slightly “gritty”. The detail was much better at 100%. 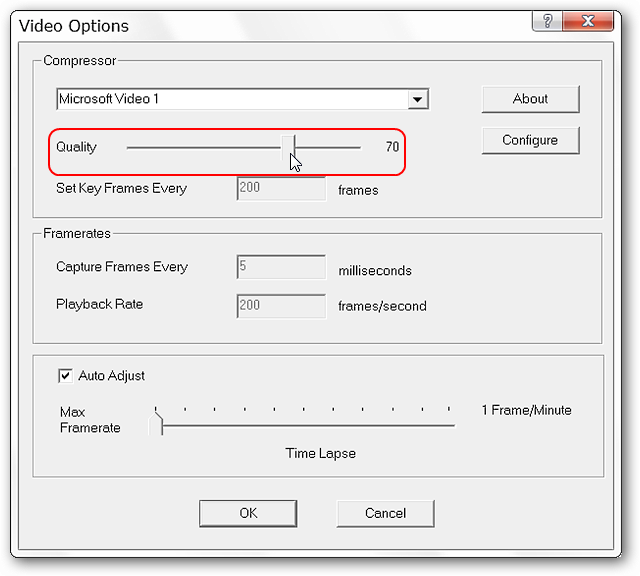 If you decide to record and save as .swf the process will be identical to recording in .avi format until the movie player window opens. 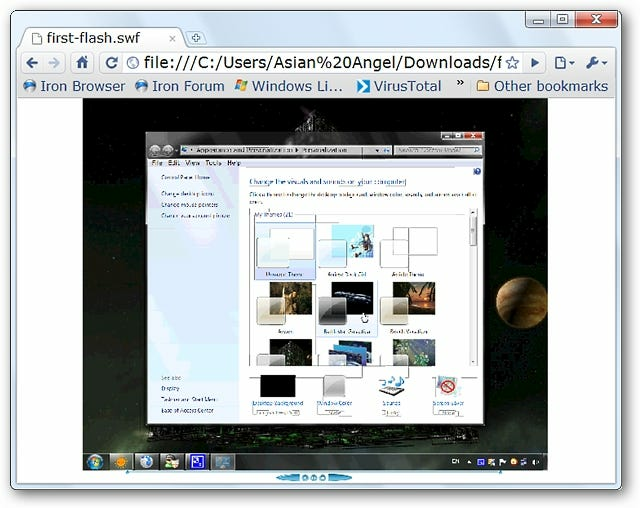 At that time the conversion process from .avi to .swf will begin. When complete you will have a new flash video and html file that goes with it. 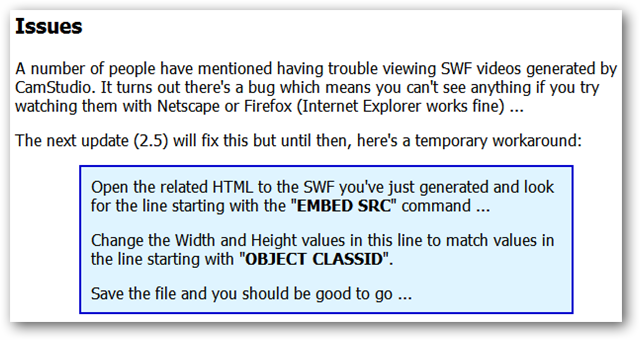 Just open the .swf file directly in your favorite browser. CamStudio may not produce the highest quality videos, but it is free and does a very nice job nonetheless. 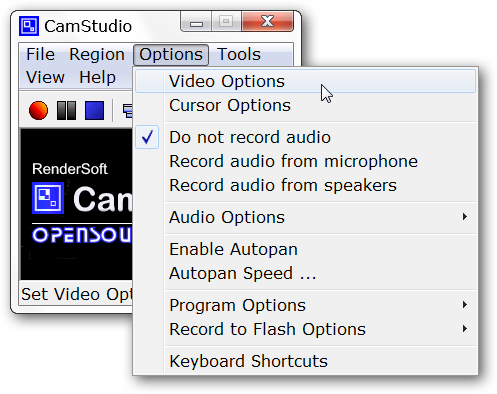 If you are working on a tight budget or only need to make an occasional video then CamStudio is a very sensible choice. 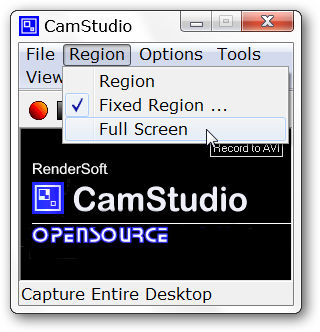 Download CamStudio Stable Version & CamStudio Codec *Download links are approximately half-way down the page. 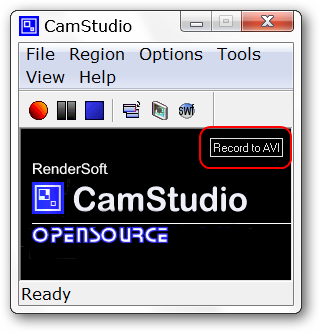 Download CamStudio Stable Version & CamStudio Codec at SourceForge *Beta version also available here.